A number of us in France have been watching with great interest the REconomy Project emerging and unfolding in the U.K. The REconomy Project Day held in September 2012, right before the Transition Conference in London, was catalytic and memorable. 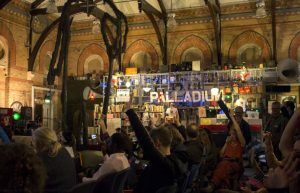 As we began preparing last spring for our regional festival for Transition and Permaculture – the 2013 edition of the Concrete Utopia Festival – the proposal to hold a REconomy evening was taken up immediately. By Corinne Coughanowr, Transition Paris/France. “But what does REconomy mean?,” people asked. Apart from the general idea to foster local, resilient businesses and livelihoods, the questions of how, for whom and with whom were raised. Some of those on the organizing committee brought up the concept of “ESS: Economie Sociale et Solidaire” (Social Economy), a domain officially recognized in France since 1981. By 2010, ESS accounted for 10% of all jobs in France, in cooperatives, mutuals, associations, and foundations. This is a rich heritage with a lot of experience. We decided to see how the Transition movement, with its focus on relocalization and resilience, could interface with this world. We then set about identifying and contacting all kinds of enterprises and initiatives that would serve as local, alternative examples. 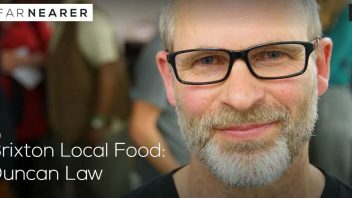 Many were found in the “food” category, but also in the areas of transportation, energy, housing, fabrication and recycling, health, arts, and finance. In the end, a dozen representatives were able to participate in our event. The evening began with a “potluck” apéritif in the courtyard of our host organization, “La Maison des Acteurs du Paris durable” (Sustainable Paris House…). About 80 people showed up, some transitioners, others from different associations and mailing lists. As the food and drink ran out, we were able to entice the crowd inside. After a short presentation of the Transition movement, Benoît Borrits spoke on social economy and the link with ecology. 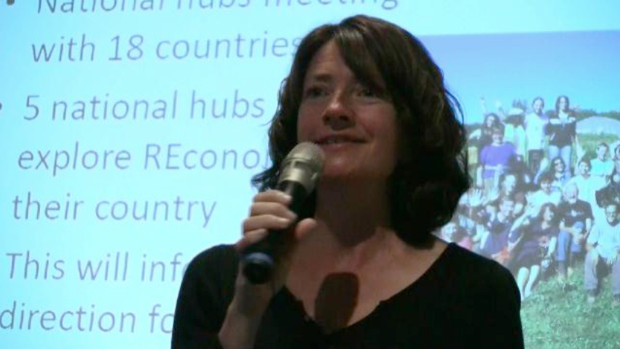 Fiona Ward then briefly explained the REconomy project in the U.K. Copying shamelessly from the format of the London workshops, we continued with a World Café. Each of the entrepreneurs presented their project for a minute or so, then proceeded to a table so that the participants could go speak in small groups to the enterprises that most interested them. Three twenty-minute sessions allowed everyone to proceed to several tables, and the room buzzed happily from all the animated conversations taking place. Fiona Ward also had a table to answer questions about the REconomy Project. 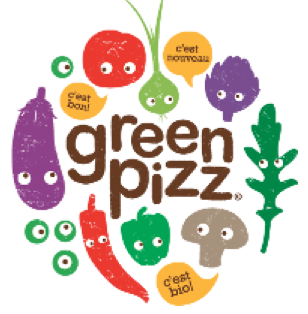 The enterprises present included 5 in the food sector – starting with pizza and beer! 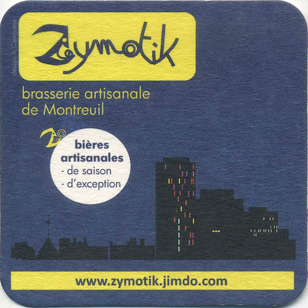 Zymotik – a local, ecological microbrewery that also teaches beer-making. CASA Poblano – a restaurant-bar-social center, financed and run by and for associations and artists. Baraka – a cooperative restaurant serving local, organic food, also an ecological activities center. 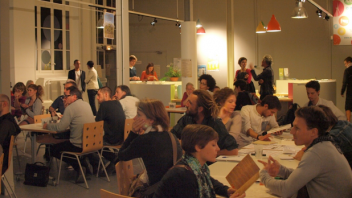 La Conquête du Pain – an organic bakery, boss-free and run via weekly meetings. Ma Ressourcerie – donated clothing and household items are sorted, then sold in the boutique or renovated or upcycled into new objects. Workshops in upcycling are also held. Domotek – based in another recycling/resale shop, this initiative takes in donated tools, games and appliances for lending out. Members help run the place. 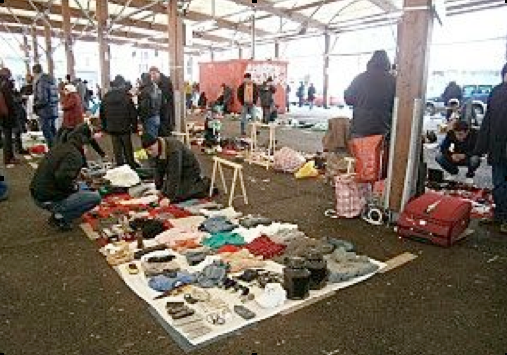 Amélior – association to support those who glean and repair items from trash bins. These are sold at outdoor markets or in a newly created shop, helping to counteract waste and to provide livelihoods for those with few alternatives. Repair Café – association in Paris and part of the growing network started in the Netherlands. Get-togethers for repairing clothing, appliances, electronics, bikes…. La Nef – a cooperative financial institution for investors and entrepreneurs, oriented toward socially and/or environmentally responsible projects. The contacts made during the world café were very much appreciated, and the exchanges went both ways. 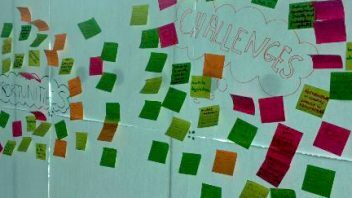 Participants discovered new places, sometimes right in their neighborhood, entrepreneurs made themselves better known, the Repair Café found new recruits, and one restaurant wrote down some ideas for ecological iced teas. At the end of the World Café, Fiona Ward shared some perspectives for the extension of the REconomy Project to other countries, and Benoît Borrits gave some concluding remarks. Interested participants were invited to sign up to be contacted for further REconomy endeavors, and a good number of us went to a nearby café to continue our conversations over a beer. In addition to the public evening event, we took advantage of Fiona’s presence in France to organize a smaller workshop with her during the afternoon of September 24th. 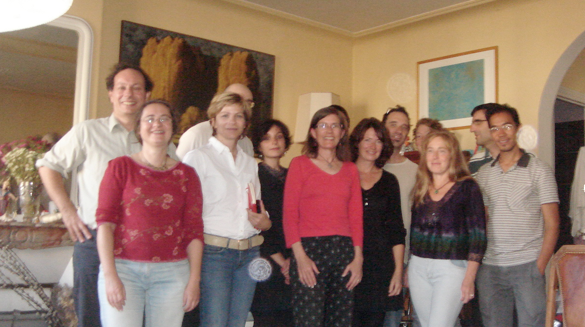 About 12 transitioners enjoyed a potluck lunch together (food and conviviality are well-anchored in France!) before sharing experiences and projects, and discussing with Fiona the history and perspectives of the REconomy Project. All of us are very interested in continuing to explore how to move forward with this concept, especially in regional or local ways. Practically speaking, the blueprints and the methodology already developed in the U.K. seem very useful as tools to adapt to France. Some of us were interested in setting up a similar project in our local Transition Initiative, for example in Saint-Quentin-en-Yvelines, just west of Paris. Others are involved in working with existing enterprises and townships and feel that the REconomy Project could give a boost in approach and credibility. The project’s report on the top twenty Transition enterprises was another example that many of us are eager to deploy in our region. In general, it was felt that just getting people, ideas, and examples of real enterprises together was very inspiring. It made us realize how much is already happening and how much can be shared in order to multiply these efforts. For others wanting to organize a similar event, our advice would be to stick with a maximum amount of time for exchanges in small groups. The World Café worked really well for this. Maybe a fourth round would have been welcome. Twenty minutes seemed like the minimum time to spend at each table. It’s good to have a ratio of about 6-8 participants per enterprise. Any more than that and the tables could get quite crowded. To improve on our event, it would have been nice to provide a list of the enterprises present, including their website and contact information. We are aiming to send this out post facto and to set up some events to take the REconomy discussion further.